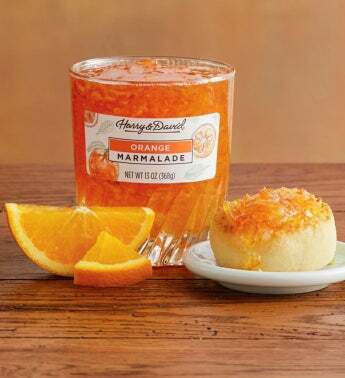 Always a favorite, orange marmalade adds a bright pop of flavor to your toast, English muffins, and other breakfast breads. Made with orange peel, orange juice, lemon, and sugar, this marmalade is delightfully sweet with a citrus tang. Spoon over ice cream for a sweet twist or use to fill heavenly orange scones.